People have always been fascinated by the stars and many have tried to count them. When God promised Abraham that he would have innumerable descendants, He drew a striking comparison: ‘Look now toward heaven, and tell the stars, if thou be able to number them: and He said unto him, So shall thy seed be’ (Genesis 15:5). The total number of individual stars visible in both the northern and the southern celestial hemispheres is about 6,000. Thus, on a clear night one can see at most 3,000 stars at the same time. Is that all? With the advent of telescopes, very many previously unknown stars were discovered. Galileo (1564–1642), using his homemade telescope, saw a ten-fold increase in the number of visible stars, up to 30,000. 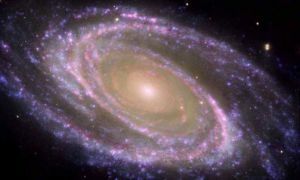 Today, the local Milky Way galaxy (of which our sun is a part) has been found to contain 200,000 million stars. What an astounding result! If somebody could count three stars per second, after 100 years he would have counted less than five percent of this number. Our galaxy comprises not only an unimaginable host of stars, but the size of this bright starry band in the sky is also astounding. 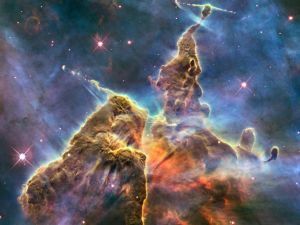 Its diameter is said to be 100,000 light-years. Astronomical distances are too large to be measured in kilometers, so light-years are used instead. One light-year is the distance that a light ray travels in one year. At a speed of 300,000 kilometers (186,000 miles) per second, it amounts to 9.46 million million kilometers (5.87 million million miles). Its total light emission is equal to 2,500 million times that of the sun. However, at this distance stars (as opposed to galaxies) having the same luminosity (light output) as the sun can no longer be proved to exist by the use of optical telescopes. 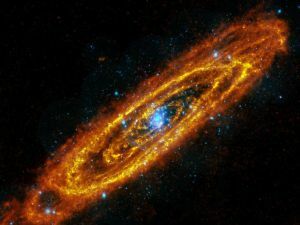 The Andromeda galaxy is the most distant object in the universe that can be seen by the naked eye, except for the occasional supernova. 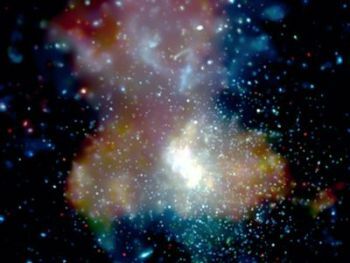 Numerous other galaxies have been discovered by means of the prolonged exposure of photographic plates. The total number discovered thus far is probably in the region of several hundred thousand million, and it may even amount to a few million million. The total number of stars in the observable universe is estimated to be 1025 (1 followed by 25 zeros). Nobody knows the actual number. A: Jeremiah, you write about the number of stars as if you knew what you were saying. My colleagues and I have studied astronomy for a long time and daily concern ourselves with the stars. 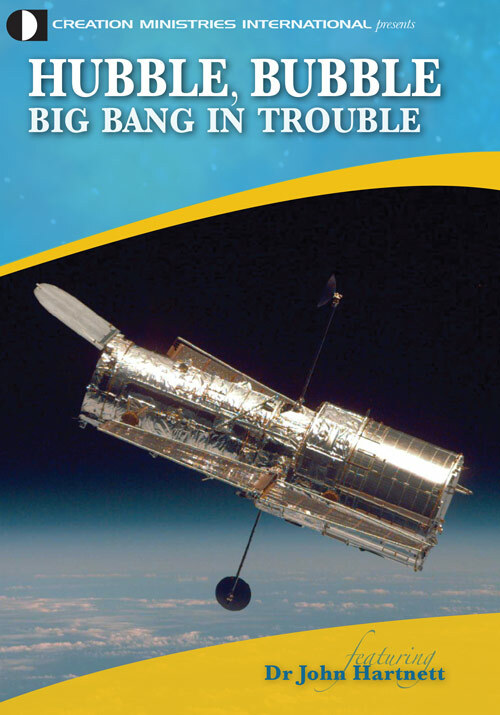 Our researches have made astronomy the most advanced science. Even kings appreciate and respect our findings. J: You may have discovered many things, but you are mistaken about the number of stars. A: How do you know that? You have not studied astronomy, not even for a single semester. So do not speak about matters which you do not understand! J: Yes, of course my studies were in a totally different field. But I still maintain that nobody is able to count the stars, because they total such a large number, similar to the number of grains of sand on the beach. A: We have recently completed a survey of the number of stars in the sky, employing our younger colleagues whose vision is sharp and unimpaired. They did not miss any stars, and their count was 3,000. Revise your biblical text; it has been disproved by our scientific findings. J: I still maintain that I have written the truth. I am no expert, but I know Him Who created the stars. He has told me and I believe Him. It is noteworthy that only now in the 20th century can we fully appreciate the astronomical import of such biblical affirmations. It behooves us to trust biblical pronouncements in other cases as well. Let us now try to visualize the above-mentioned number of stars (i.e. 1025). No human being lives long enough to count such a large number, so we will use a computer, one of the fastest ones available. It can do 10,000 million calculations in one second, which is extremely fast! Even at this great speed it would require 30 million years of non-stop counting to count the stars, but no computer could last as long as that. God has foretold the result of such an endeavour through His prophet Jeremiah; the stars are, to all intents and purposes, countless, says the Bible, just like the sand grains on the seashore. Similarly bleak and false is 18th century German philosopher Immanuel Kant’s conclusion that the immeasurably large universe destroys our importance. If he had believed some of the verses of Psalm 8, he would have reached quite a different conclusion about our significance in this vast universe. We are not cosmic outcasts, as the 19th century atheistic philosopher Nietzsche claimed, neither are we ‘gypsies at the edge of the universe’ as the 20th century French atheist biologist Jacques Monod maintained.3 On the contrary, we are beloved by our Father in heaven, through Jesus Christ, if we have accepted His salvation by grace through faith. The universe in its immensity was especially created for us humans so that we could see and appreciate the glory and the power of God. The universe in its immensity was especially created for us humans so that we could see and appreciate the glory and the power of God. He is so great that it required no more effort to create ten stars than one, or one thousand, or even 1025. He did not exert Himself, neither did He perspire. His creative words were sufficient: ‘For He spake, and it was done; He commanded, and it stood fast’ (Psalm 33:9). 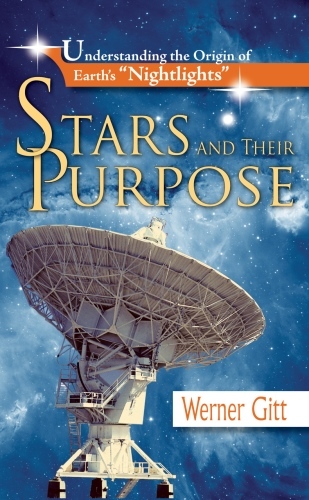 The above article was adapted from the English language edition of Dr Gitt’s book Stars and their Purpose (Signposts in Space). It should be noted that the measurement of very large distances is subject to great uncertainty, both because of the limited accuracy of the measurements, and the supposed meaning of the red shift. Because no other data are available, this article employs the published distances, with the reservation that they are not really totally dependable. However, to an order of magnitude they are probably reasonable estimates. 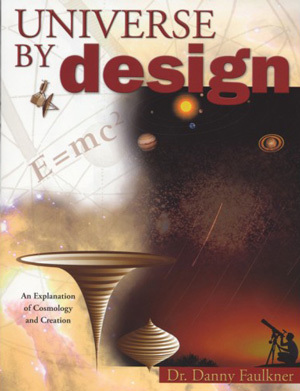 [For a relativistic cosmology which harmonizes a creation thousands of years ago with one in which we can see stars millions of light-years away, see R. Humphreys, Starlight and Time—Ed.] Return to text. F.M. Wuketits, Evolutionäre Erkenntnistheorie als neue Synthese, Herrenalber Texte No. HT 52:40, 1983. Return to text. J. Monod, Zufall und Notwendigkeit (Chance and Necessity), Deutscher Taschenbuchverlag, dtv, München, 3rd Edition, p. 151, 1977. Return to text. R. Holbe, Zeitgeist Knaur, pp. 106–107, 1991. Return to text.